Aluminum double trigger to replace single plastic trigger. 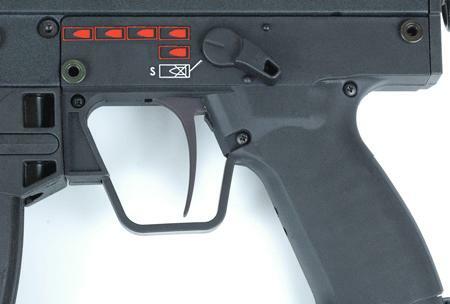 An Aluminum Fang Trigger with Trigger guard for the Tippmann X7. Features dual roller bearings and 3 point adjustable. Kit includes our new Soft Double Trigger Guard! Comments: I coudnt beleave it !!! Installed this . Removed the extra play. Now my trigger pull is incredible small. Lite. and responsive. Every a5 needs this in my opinion.